Chiarastella telling me where she draws her inspiration for her creations. 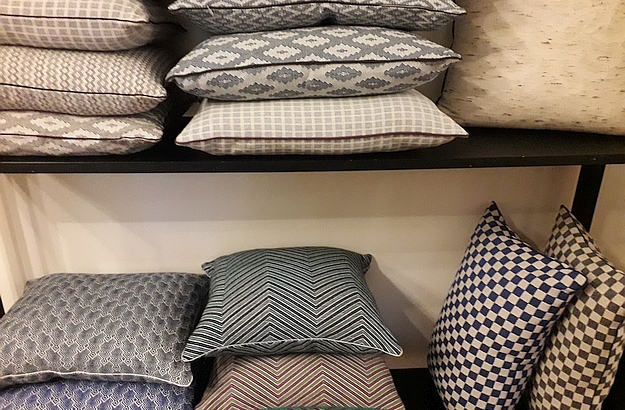 The pillows and cushions come in a wide variety of colours and patterns. Colloquy between a Murano glass vase and a checkered pillow case. I regularly drop by Chiarastella’s boutique, and of course always encourage our Trust & Travel guests to pop in and yield to the spell of the premises. 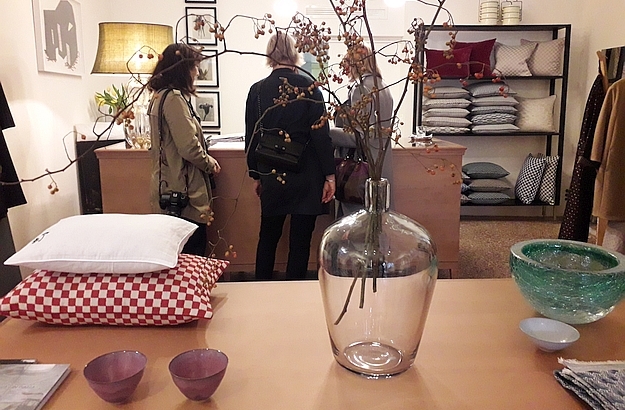 Handwoven blankets, linen napkins, beautifully patterned tea towels, duck-feather filled cushions… You are spoilt for choice when you walk into Chiarastella’s textile realm. Her creations, all made in the time-honoured weaving mills of Alto Adige, skillfully blend traditional craftsmanship with contemporary colours and patterns. At the moment I have a fixation with Chiarastella’s pillow cases and checkered cushions, while my husband has taken a liking for the delicate needlework found on her guest towels. 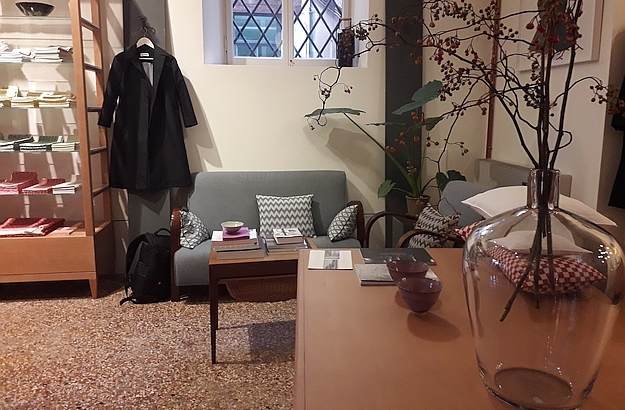 Located in a former 17th century congregation building, the Scuola dei Mureri, Chiarastella’s boutique adjoins a studio where she designs her pieces. 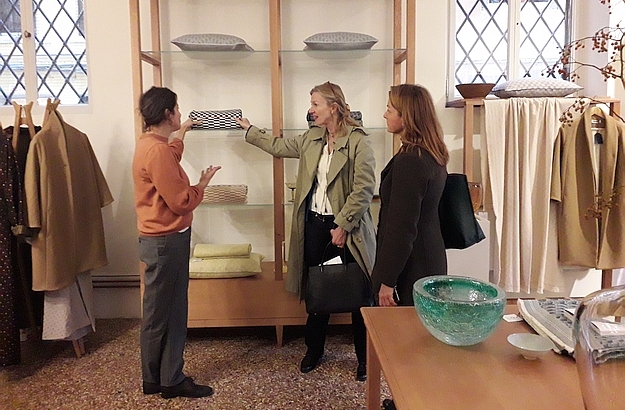 She also showcases, alongside her fabrics, the works of Murano glass artists Yali and Domitilla Harding, the singular clothing lines of Alfa Perro, and some Italian modernist furniture. 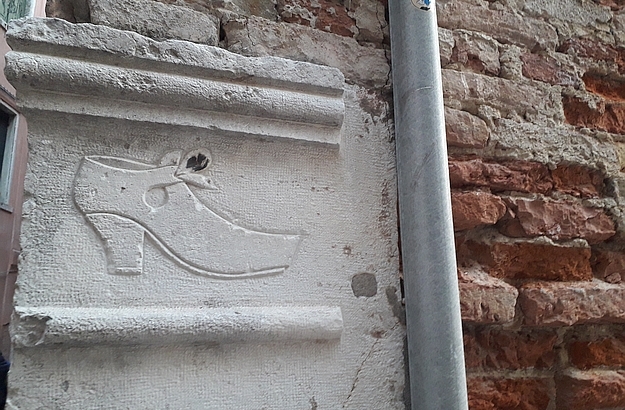 And being in the very heart of Venice, you will easily find, a mere stone’s throw from the shop, a nice little bacaro where you’ll be able to enjoy an aperitivo and a couple of cicchetti. Chiarastella’s boutique is located at San Marco 3216, Salizada San Samuele. The opening hours: 11 am to 7 pm. It is closed on Sundays.